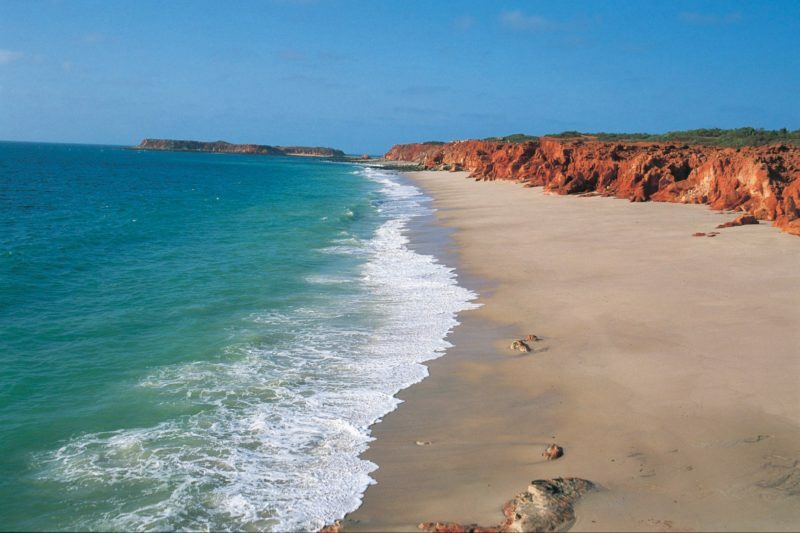 Hit the red dirt road for a four wheel drive adventure to remote Cape Leveque on the tip of the Dampier Peninsula north of Broome. 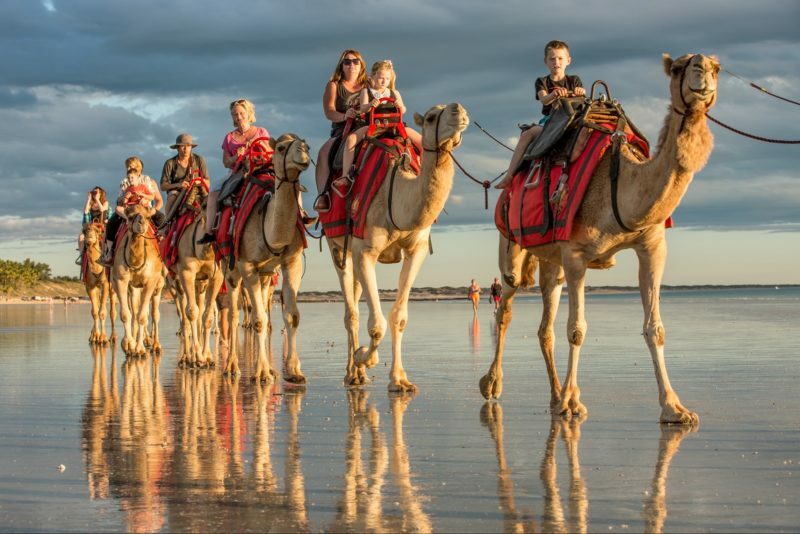 This rugged and pristine slice of the Kimberley is famous for its Aboriginal heritage which continues to thrive. 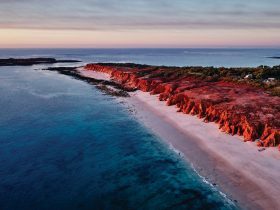 Equally famous are the striking colours of the landscape where dramatic red-rock cliffs meet bone-white sand and clear turquoise water. 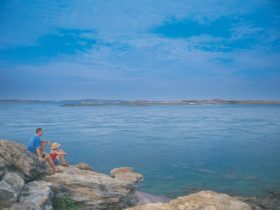 The area is popular for swimming, snorkelling, boating and whale watching. 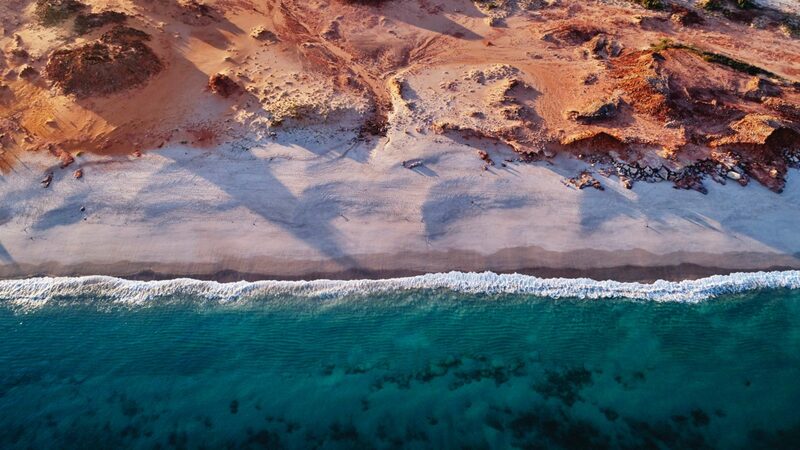 The fishing is world class – throw in a line from the side of a boat to catch mackerel, tuna, cobia and sailfish. 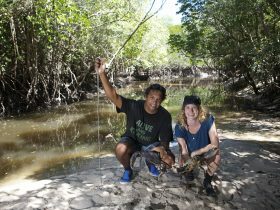 You can learn more about Aboriginal culture on bush-tucker, tag-along and mud crabbing tours. 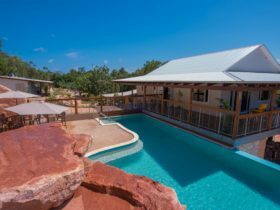 Accommodation at Cape Leveque ranges from camping and beach shacks to fully equipped safari tents with decking overlooking the sea. 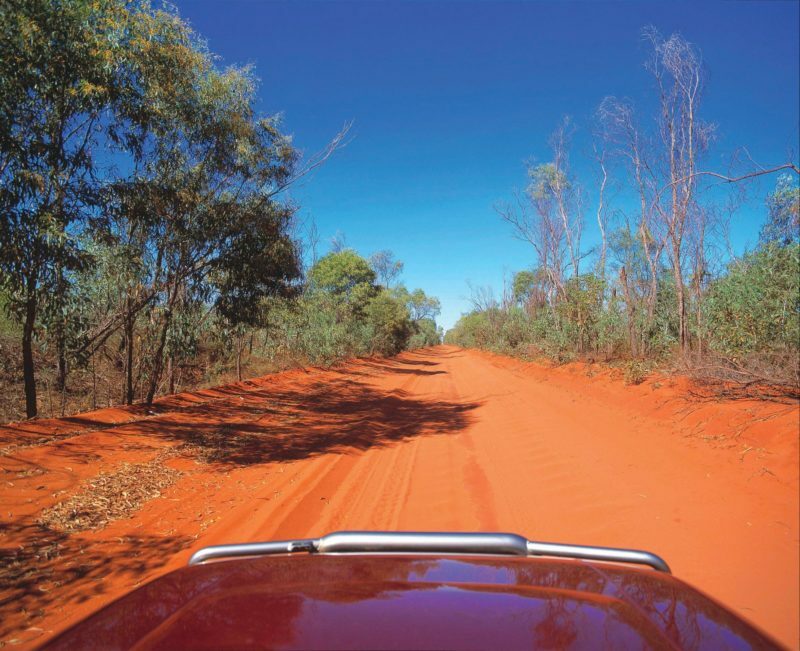 The trip from Broome usually takes around three and a half hours in a four wheel drive on an unsealed road which is sometimes closed during the wet season. 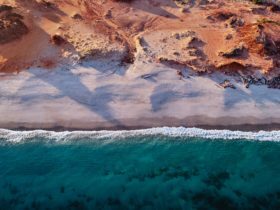 You can also reach Cape Leveque by booking a four wheel drive day trip from Broome, or enjoy a scenic flight over the area for a bird’s eye view.